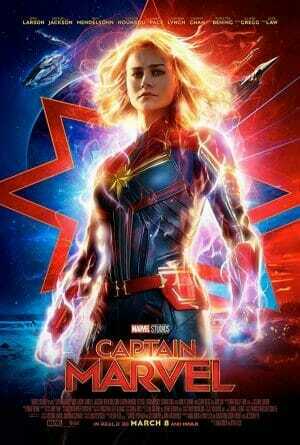 Marvel’s (first) 2019 entry ‘Captain Marvel‘ is a nostalgic and entertaining comic book origin story. However, by reappropriating all of Marvel’s Cinematic Universe history and making this the “origin of all things MCU”, Carol Danver’s own story gets shortchanged and, in turn, our investment is left wanting. 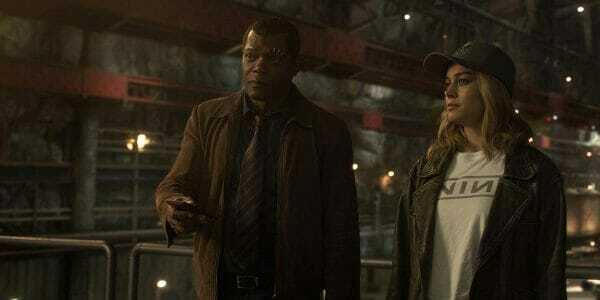 Still, what else you going to watch until ‘Avengers: Endgame’ arrives? Refreshingly our heroine (Brie Larson) begins this tale with her powers already on display. She quickly ravagers through enemies with glowing fists and a biting wit. Living as an intergalactic Kree warrior under the guidance of mentor Yon-Rogg (Jude Law) she struggles with dreams that could reveal truths about her amnesiac past. However, there’s a mission and that must come first. She and her team are sent to find a lost Kree spy when Danvers (known as “Vers“, for now) gets dragged into an intergalactic war by another alien race, the Skrulls. 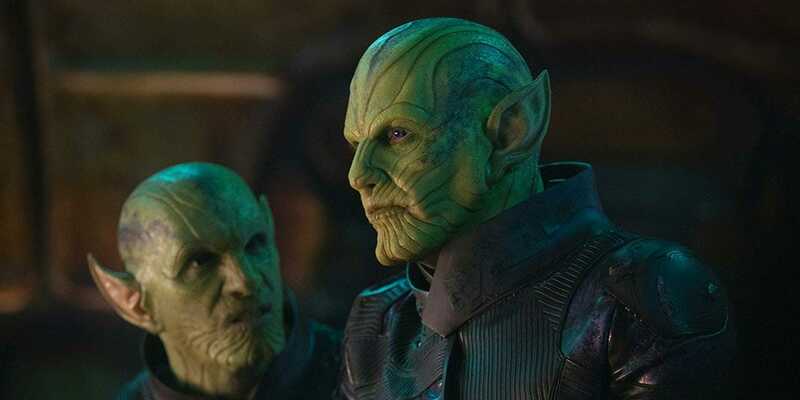 Under the leadership of Talos (Ben Mendelsohn) these Skrulls are seeking a way to end their long conflict with the Kree and Vers’ lost memories may hold the key. Leading everyone towards planet Earth, circa 1995. Once on Earth Danvers’ human origins are awkwardly uncovered with fresh-faced S.H.I.E.L.D. 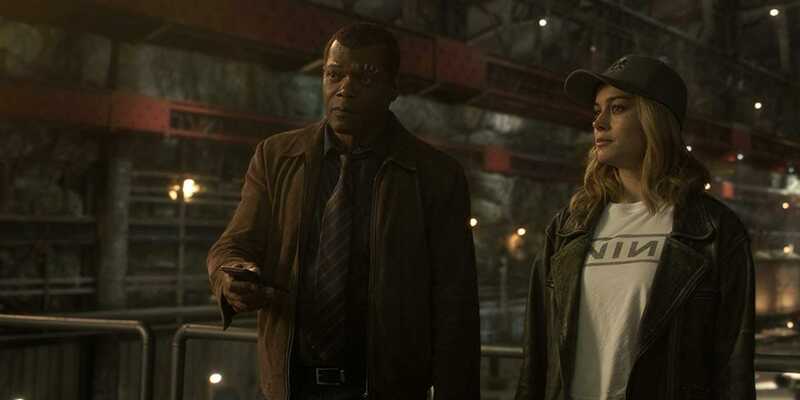 agent Nick Fury (a seamlessly de-aged Samuel L. Jackson) in tow as they battle the shape-shifting Skrulls and work through multiple sub-plots and McGuffins. Retconning characters and plot-points of many other MCU films may increase “insider” enjoyment, but, feels like simple pandering. I wanted a personal tale that creates historical and emotional context for Captain Danvers and her beginnings as an Air Force test pilot. Yet, shoehorning in all this extraneous fan service and a looming future Thanos threat hurts the development of Carol Danvers as a real person and not just another snarky super with the unprecedented powers needed more for the galaxy’s future than for this film’s present. 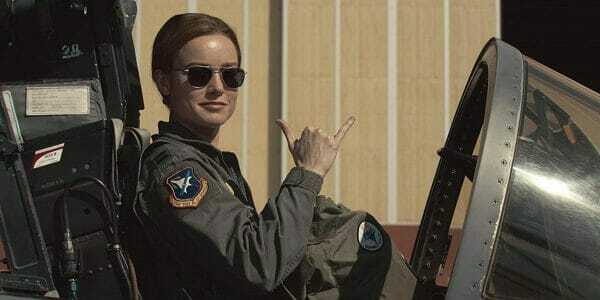 From test pilot Carol Danvers (Brie Larson). Fury and Danvers make fun “partners”. With new enemies to fight. And a mysterious face from the past. As Fury and Danvers spend much of the film as a quasi-mentor and pupil its nice that Jackson and Larson sustain playful, likable chemistry. 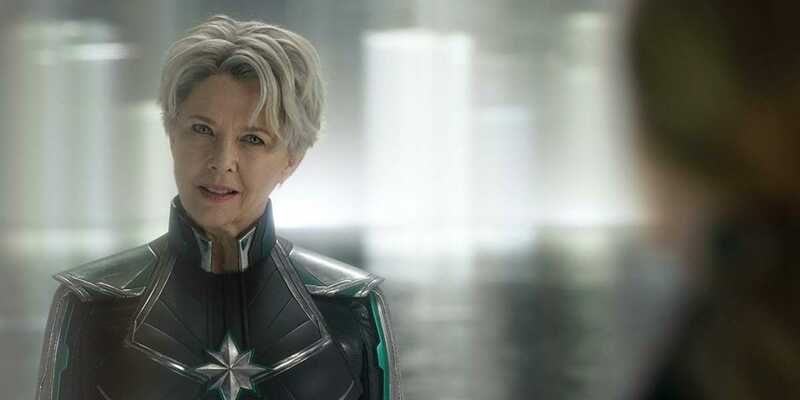 While side-characters like not-dead-yet Phil Coulson (Clark Gregg), the mercurial Yon-Rogg, and Danvers’s Earth mentor played by Annette Bening are left with not much more than scraps. However, Mendelsohn’s “Talos” gets a couple of honest to god drama moments that ensure this CGI-filled action spectacle seems almost relevant. Fillmmakers Anna Boden and Ryan Fleck do a reasonable job within the constraints given. This franchise on rails is quickly sucking out all inspiration and personality–there’s just too much accompanying baggage and “play-it-safe” expectations. Yet, beyond a painfully shoehorned alt/grunge soundtrack, the 90s pop-culture driven nostalgia is, at least, worthy a few chuckles and winks. There’s plenty to like about ‘Captain Marvel‘. The performances and production are fine, the rather generic story is adventurous and fun, and the action sustains. However, by focusing more on what’s next and not what’s now leaves us little reason to care. The best I can say is that I enjoyed watching it and that it accomplishes its primary task in increasing interest for ‘Avengers: Endgame’. A lighthearted, playful tone, abundant action, and 90s throwback nostalgia ensures consistent entertainment even as our emotional investment wanes. There’s just not much meat on these bones.